Above ground garden rainwater systems allow you to store water in your garden without the need for a big project to install a tank underground. Watering plants using rainwater is much more eco-friendly than tap water and more cost-effective in the long run. 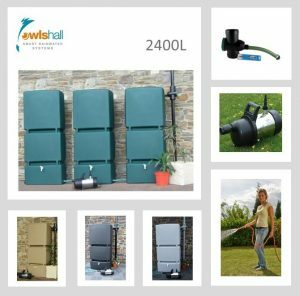 Owls Hall Environmental supplies a large range of above ground rainwater systems designed to be easy to install and upgrade. 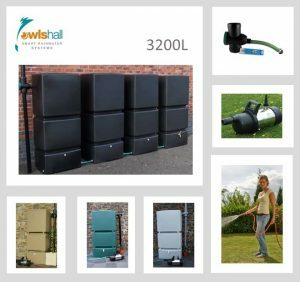 Above ground systems will take up space in your garden, but with a selection of sizes available – from 800 to 4000 litres – there are tanks to fit nearly every outdoor space. If you’re looking for replacement parts for an existing rainwater harvesting system, or you’re looking to construct a system yourself, you’ll find a choice of filters and pumps on our site designed to help your system clean the water it takes in and work with your existing mains supply. 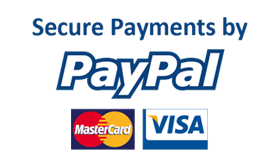 For help with any of our products, call our friendly team on 01844 877 030. The 1600L Wall tank system not only looks great, it is extremely easy to install. Available in 4 colours to suit your garden, and comes complete with a pump to give fantastic pressure for garden watering. The 2400L Wall tank system not only looks great, it is extremely easy to install. Available in 4 colours to suit your garden, and comes complete with a pump to give fantastic pressure for garden watering. The 3200L Wall tank system not only looks great, it is extremely easy to install. Available in 4 colours to suit your garden, and comes complete with a pump to give fantastic pressure for garden watering. The 4000L Wall tank system not only looks great, it is extremely easy to install. 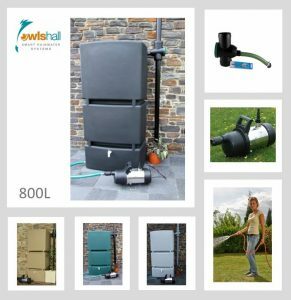 The 800L Wall tank system not only looks great, it is extremely easy to install. 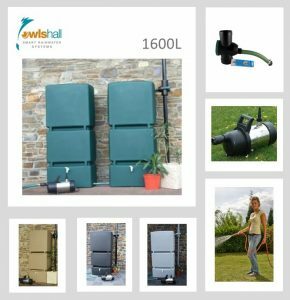 The 1500L above ground Rainwater harvesting system ticks all the boxes when you need large storage in a tight space. The single high quality tank is the equivalent to 7.5 x 200L water butts! 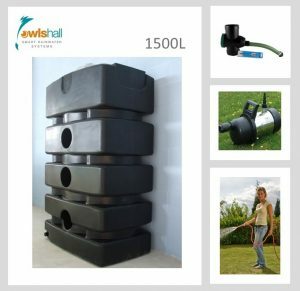 Featuring a high quality pump and downpipe filter, this is a complete garden watering solution.